I wish to thank you for your marvellous work with the children in Second Class, as they prepare this year to receive their First Holy Communion. This programme of Eucharistic Adoration has achieved what no amount of talking or teaching or reading from books can do. 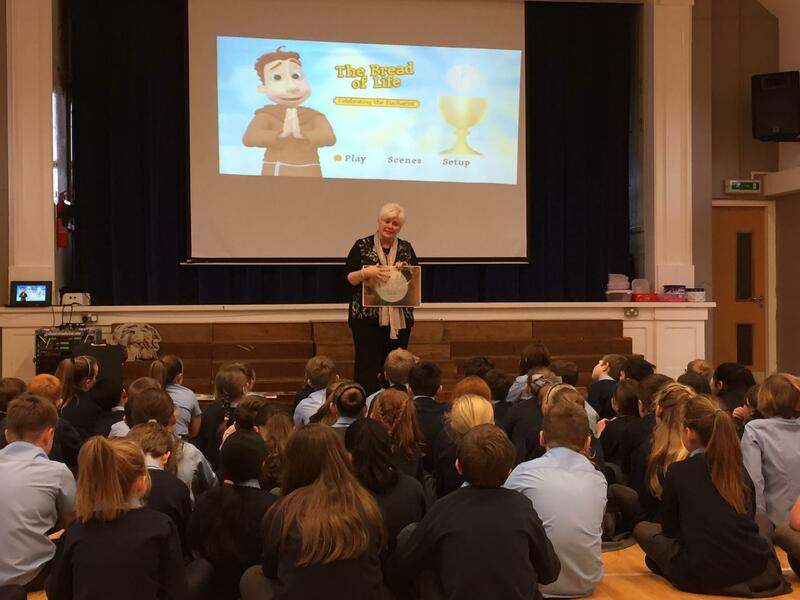 The children are presented with the real presence of Jesus in the Blessed Sacrament and they can relate to Him in a most concrete and special way. Children report that they see Jesus in the light from the beautiful monstrance which was presented to a local church in the late 1800’s and has now been taken out of storage for use in our local schools. They listen to stories about Jesus, they feel the presence and warmth of Jesus in a real way and can make their prayers to Him. It has brought the children to a new and special place where Jesus is real in their lives and now they can’t wait to receive Jesus in their First Communion in May. This is the most positive development in sacramental preparation that I have experienced and witnessed in my 26 years as a teacher and is a programme that should be offered and extended to all schools. I wish you continued success and thank you for your commitment and dedication’. Eucharistic Adoration gives children an opportunity to connect with Jesus in a real and meaningful way. I see the children speak openly to Him. They feel his love and support and express their gratitude to him for the good in their lives. They are completely at ease prostrating before the Blessed Eucharist in Adoration. I believe the fruits of Adoration will remain in their hearts always. It is a wonderful gift to them. Children from the First Holy Communion class and the Confirmation class were delighted by the visits from COTE, led by Antoinette and Aoife. For many of them it was the first time they really heard about and appreciated the beauty and importance of the Presence of Jesus in their lives. They were led gently and reverently through the Adoration. We were also blessed that they visited us to help our school community through a very sad time in our school. We will be forever grateful to them. From the moment, I got in touch with Antoinette, I knew that the Children of the Eucharist programme would bring so much joy and peace to our school. In a world that is embracing mindfulness our adoration is bringing this calmness to our wonderful children and staff. We are blessed to be part of the Children of the Eucharist family and we cannot wait for all to be reunited in Knock this year. Tá Dia maith!